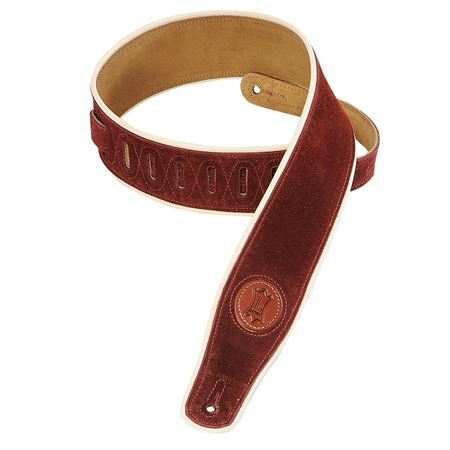 Order your Levy's MSS3CP Suede Guitar Strap from AMS and enjoy Fast & Free Shipping. Get the Best Deal with our Lowest Price Guarantee & Great Customer Service! 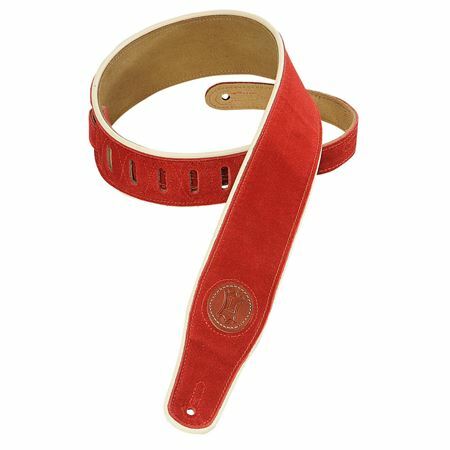 The classic look of suede and cream decorative piping make this 2 1/2-inch guitar strap great for anyone looking for a great new look to go with any guitar! The Levy’s MSS3CP strap is adjustable from 37-51 inches. 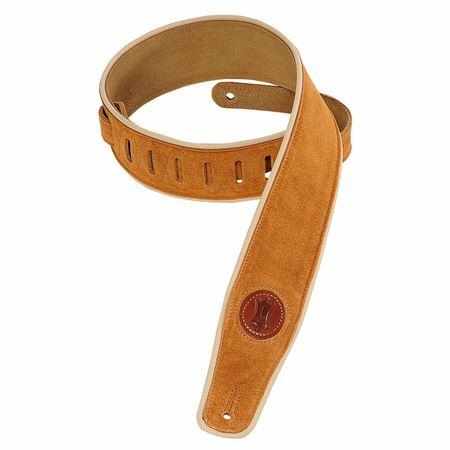 Levy Leather straps are made from high quality Leather. I have had a couple for 15 years. Guitars have come and gone, but I keep my Levys straps for the next one. Even after 15 years these straps are in great shape, so you know like the colored straps, the quality is in the build and well built straps keep their value because they are built with the finest craftsmanship. They can last a lifetime. Great strap .the more you use it the softer it gets . Very good .Will be buying more for my other guitars .